Architecture is an art justified by science, which is just all about form, space, and order. At UNAAVIHS our architects dream like an ARTIST and think like an ENGINEER. 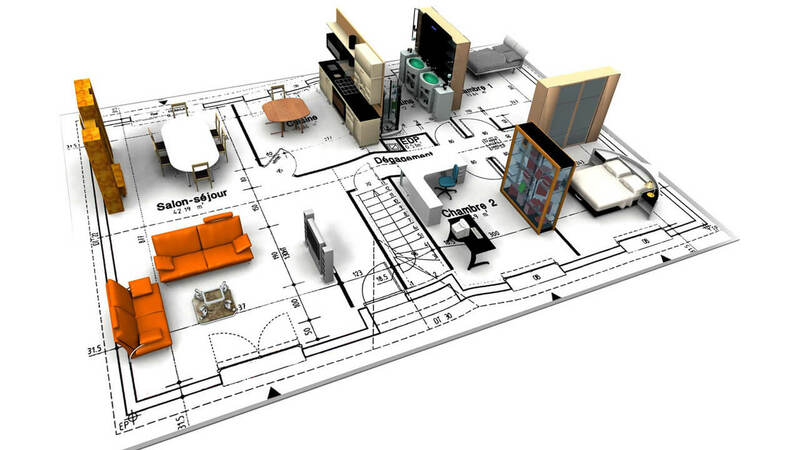 Our detailed design guides, drives and helps builders to fulfil the project. Our expertise in technical and environmental knowledge, design and construction management and site supervision makes the project a happy dream fulfilled elegantly. Space Planning is a VISIONARY ART justified by geometrical drawings that are MATHEMATICAL at heart. To assign values without meaning is useless; any architectural design of perfection should be tested against something human and not just geometry. We transform the total space into usable range of spaces both for collective and personal uses. Economy of space coupled with Utility is the key to our Space Planning. Engineering in Architecture is the application of science and technology to the real world by design a building which can enhance our standard of living.Una Avihs thrives to give you the architectural art with a blend of modern technology with a focus on aesthetics and quality of living. Interior design is not just concerned about how your home will look like, but it lays more stress on making the space more functional because it is often seen that where a small residence may have just everything pitch perfect with nice interior design and space saving tricks.